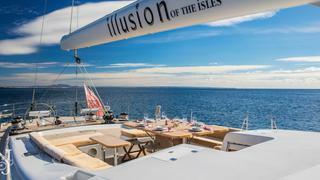 The 100-foot (30.48m) sailing yacht ILLUSION OF THE ISLES allows for easy sailing with high performance; she provides a sumptuous haven for experiencing the joys of sailing. 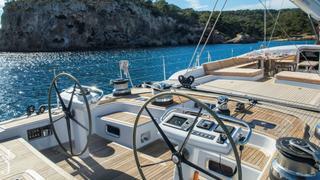 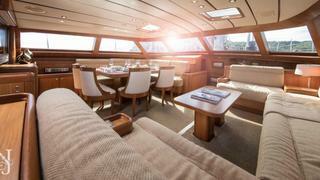 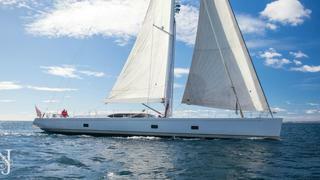 Designed by Nauta Design, the luxury sailing yacht’s interior is elegant, functional and comfortable. 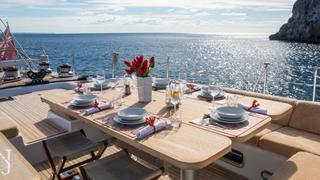 Guests can enjoy panoramic views while relaxing in the soothing main salon or relishing a delectable meal at the dining table. 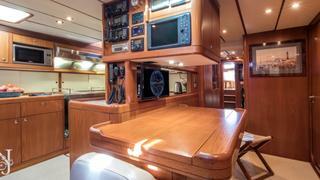 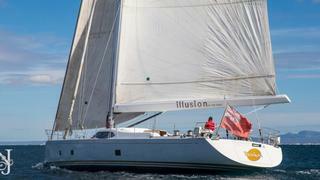 ILLUSION OF THE ISLES boasts an excellent layout that provides a separation between guest and crew areas. 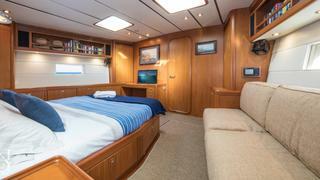 ILLUSION OF THE ISLES welcomes eight guests in four well-appointed staterooms. 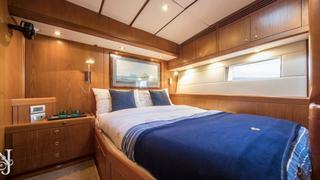 Her master stateroom is a private oasis situated forward and is complete with a lovely en-suite bath. 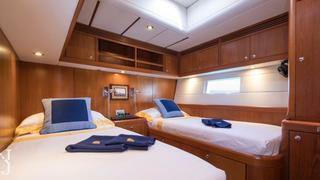 Her additional staterooms include a VIP and two identical twin staterooms — each with an en-suite bath. 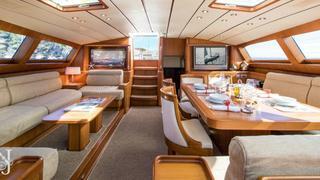 The deck layout on yacht ILLUSION OF THE ISLES permits easy sailing with her twin wheel pedestals granting excellent visibility to the helmsman while maneuvering around the aft cockpit. 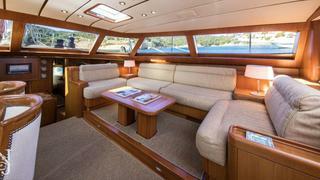 Whether sailing or at anchor, the yacht’s splendid center cockpit with ample seating is the ideal spot for unwinding, socializing and sunbathing. 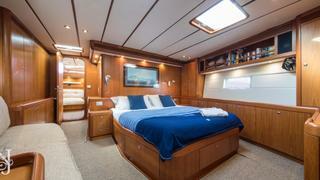 Lowering ILLUSION OF THE ISLES transom door allows for easy boarding as well as provides a spectacular swim platform to enjoy the sea that surrounds.